Established in 1990, Taylor Nicholas has become Sydney's Prime Property Specialist with seven offices handling all facets of the non-residential property segment. Whether it be an industrial, commercial or retail building, chances are that Taylor Nicholas would have sold or leased a property similar to yours in the last 26 years. Great Investment Contact Marino on 0407 18.. Occupy Develop, Refurbish Contact Peter Taylor on 0..
Approved Licenced Restaurant Contact Marino Rodriguez ..
- Small industrial factory, ideal for food production - Some refrigeration included - Located on a main road with good exposure - Easy access for small trucks - Rare find! Great Showroom Contact Marino Rodriguez ..
Cheapie Contact Marino Rodriguez .. Sealed Hardstand Contact Marino on 0407 18..
Great Complex Contact Marino on 0407 18.. Sealed Hardstand With Access Off Epsom Rd Contact Peter Taylor 0418..
An opportunity has become available at the University of Sydney to secure space in the Wentworth building. The University has over 50,000 students and staff each year onsite. Small Factory Contact Marino Rodriguez .. 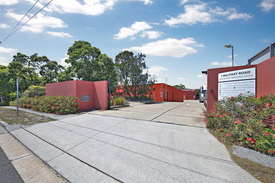 Huge Rent Reduction Contact Marino on 0407 18..
Freestanding Building Contact Marino on 0407 18..